I have three charts for addition facts and they are linked below. 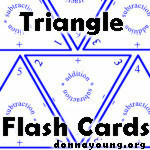 Triangular Flash Cards - The numbers in this set of triangular flash cards are rotated. Cover the answer with your finger when showing the card. Triangular Flash Cards- The numbers in this set are one-side up instead of rotated. Cover the answer with your finger when showing the card. 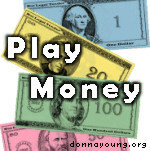 Money Quizzes - The money quizzes are computer based. The child counts the money online, then chooses right answer - we hope.